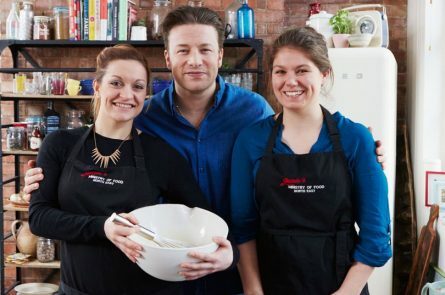 In 2008, Jamie filmed Jamie’s Ministry of Food in Rotherham for Channel 4 – aiming to bring back lost cookery skills in what was the UK’s most obese area at the time. He was so shocked by the low level of cookery skills he found that he launched the permanent Ministry of Food programme, which continues to teach people to cook to this day. The eight-week course focuses on instilling basic kitchen and food skills in a fun and engaging way. All classes use Jamie Oliver recipes and resources, specifically developed with nutrition and balance in mind. The programme uses behaviour change techniques to encourage healthier eating habits. Independent evaluation has shown that the programme has significant positive effects on dietary behaviour, food choice and cooking. We work with local councils, charities and other partners across the UK, Australia and beyond who deliver the programme in their area. Jamie’s Ministry of Food has reached nearly 90,000 people to date. 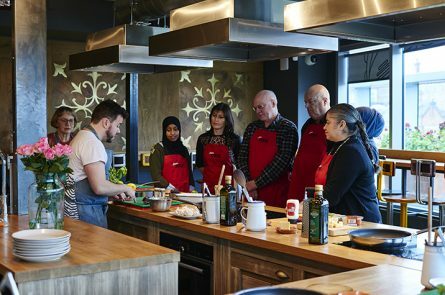 We believe that teaching people to cook plays a vital part in the fight against diet-related disease. Jamie set up his Ministry of Food programme to help individuals, families and communities to start cooking again. Once you know how to cook, you have control over your health and the health of your family. The Ministry of Food programme improves dietary behaviour, food choices and cooking confidence. Evidence is central to everything we do. Our course is evidence based and data collection is an ongoing commitment. 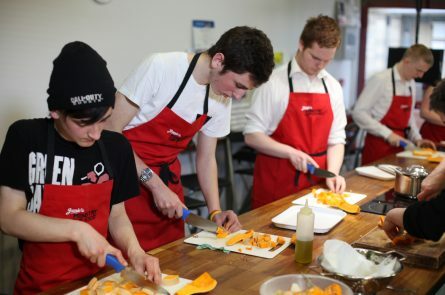 Our Jamie trained team is made up of chefs and nutritionists. We love teaching others to bring about change through food education.